St Joseph’s Hospital – The Ward County Hospital was completed in 1896. 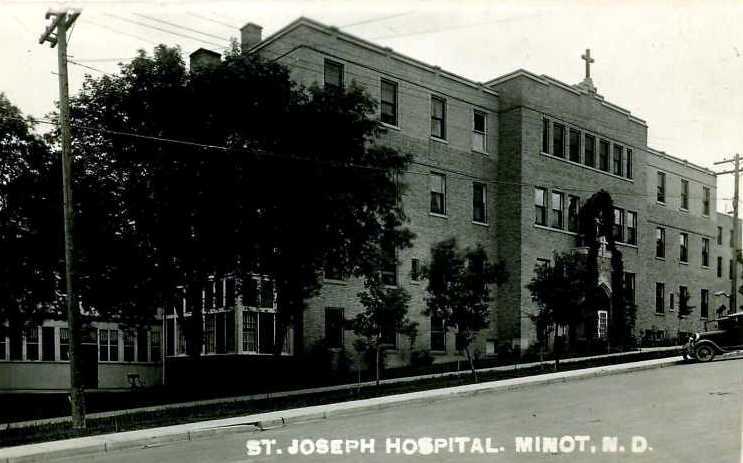 In 1911 the Sister’s of St Francis came to Minot to manage the 30 bed hospital. They changed the name from “Northwestern” to St Joseph’s and began their mission of caring. In 1917 the Sisters purchased the hospital from the county for $28,000.00. The hospital grew from its original 30 beds to a 197 bed modern facility. 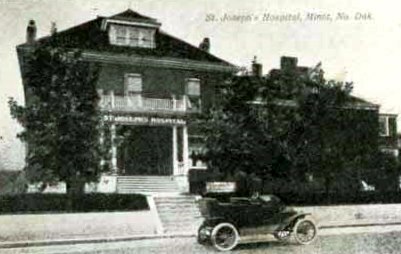 St Joseph’s was eventually acquired by Trinity Medical Center.